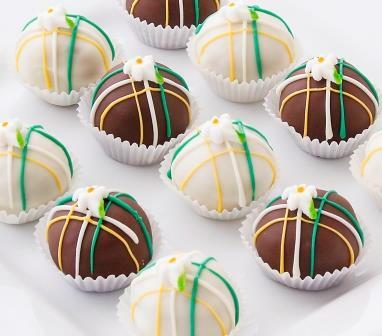 Show Mom your love with cake balls and cake pops! Guaranteed to put a smile on her face, our adorable flower collections will be a bouquet she'll really love. Is Mom a fan of lilies? Order at this link http://www.cakebites.biz/specialty-collections/holidays/mothers-day/lilies-collection/. Does Mom prefer more playful flowers? Check out our Fun Flower collection at this link http://www.cakebites.biz/specialty-collections/holidays/mothers-day/fun-flowers-collection/.